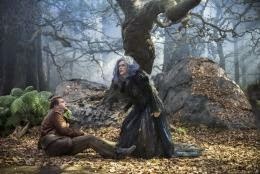 Into the Woods movie director Rob Marshall has revealed that a previously reported new Sondheim-penned song for Meryl Streep's character of The Witch has not made the film's final cut. "We've been incredibly faithful to the original," he said confirming that the the highly anticipated big screen adaptation of the stage musical which is due for release at Christmas will not add any new original songs. Marshall promises that Streep's singing chops will certainly not disappoint movie goers. "I don't think people will be remotely ready to hear her sing this material. The power from her is off the charts."